Are you looking forward to Rabbids LAND on the Wii U? Did you play any of the Rabbids games on the Wii? We're taking the plunge, and looking at one of them today! Rayman Raving Rabbids 2 was released for the Wii on November 13, 2007 in the U.S., and was developed by Ubisoft Paris. It released with a MSRP of $49.99, and received an ESRB rating or "EVERYONE 10+" with "Cartoon Violence, Crude Humor" listed as content for gamers and parents to be aware of. 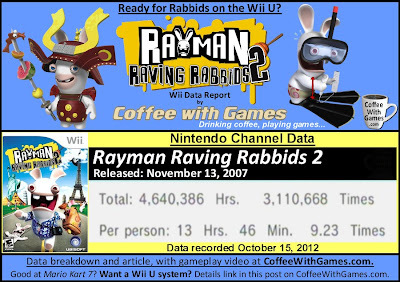 How many U.S. Wii owners have reported playing Rayman Raving Rabbids 2, and how many hours have they reported being Rabbid rabid? Brew yourself some coffee, and let's take a look! Rayman Raving Rabbids 2 has approximately 337,017 U.S. Wii owners that have reported playing the game through the Nintendo Channel, with 1,798 days possibly reported. The players have reported 4,640,386 Total Hours of gameplay since the game released, almost 5 years ago now. The total average play-time is 13 Hours 46 Minutes "Per person, with the average time played per day/session being about 1 Hour 29 Minutes. How was the Rabbids' second Wii outing received by critics and customers? The game's "professional" critic review score average is 67.71%, based on 27 reviews on GameRankings.com. It has a customer review score average of 82.29%, based on 122 reviews from Amazon.com. I forgot my carrot juice. I am really looking forward to Rabbids LAND on the Wii U. 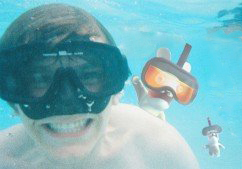 The original Rayman Raving Rabbids was a day one purchase with our Wii system. Why? Mrs. Coffee. Growing up, she took a liking to rabbits and the original promotional videos of Rayman Raving Rabbids really caught her attention, and the humor in them helped sell her (and me) on giving the game a try. I wasn't really sure what to expect from it, but I think the original game had some of the best uses of the Wii Remote and Nunchuk in the launch titles for the system. The Rabbids dancing mini-games were the family favorite in the games, and provided us with many hours of fun. I personally enjoyed the first-person rail shooting mini-games in the first game a lot, and I was excited to see Ubisoft try new things with the sequel's first-person rail shooting mini-games. They filmed real life city locations for the rail shooting mini-games in Rayman Raving Rabbids 2, and put the Rabbids in those locations. If you want to see what the first-person rail shooting (real life location) Rabbid mini-game looks like, watch the first video below. Being that we are now pretty big fans of the Rabbids and own three of their Wii games, I really am expecting Rabbids LAND for the Wii U to be fun and funny, and I'm also expecting it to use the GamePad in some of the most unique ways out of all the launch games. If you haven't seen any promotional videos for Rabbids LAND on the Wii U, the second video is a short trailer for that game. As for the average reported for Rayman Raving Rabbids 2, because our average is about 30 hours higher than the average reported, it makes me think most Wii owners used this as mainly a party game and would pull it out occasionally to play with friends and family, instead of playing through the majority of the mini-games and attempting to get high scores in them as we would did. Did any of you play Rayman Raving Rabbids 2, or any of the other Rabbids games on the Wii? If so, do you have a favorite game from the series, or perhaps a favorite mini-game? Are any of you looking forward to Rabbids LAND on the Wii U? We had.. two different Rabbids games I believe? we had one fo the 360 and one for the Wii. My youngest absolutely adored them. In fact there was a trailer for Rabbids on the 360 years ago she used to watch over and over again. I never was able to really get into either of the games, but my younger two played them quite a bit. "My youngest absolutely adored them. In fact there was a trailer for Rabbids on the 360 years ago she used to watch over and over again." Bean 1 actually completed one of the plunger FPS levels last night, as well as a few of the mini-games...which you can't really fail some of the mini-games, as they usually all get "finished" just with varying scores. I know the FPS genre can be hit/miss, though you seem to play some of the Call of Duty titles from time-to-time, but the on rails shooting I thought was done really well in the first one, which is what got me "hooked" on the series along with just how crazy the mini-games are. I've played all the Rabbids games on the Wii, and I personally believe this one to be the weakest of them all for a number of reasons. There are some mini-games that stand out within a multiplayer setting, but... yeah, I'll just leave it at that. I'm happy to read someone else enjoying the original so much. Despite the technical problems and some mini-games being rather idiotic in design (a problem that surfaced again in RRR2), it was and still is one of the better mini-game collections around. I was honestly shocked by how much time I was able to sink into it! "There are some mini-games that stand out within a multiplayer setting..."
Yeah, the music game was an improvement, allowing 4 players at once. "Despite the technical problems and some mini-games being rather idiotic in design..."
Haha! I think that's why we enjoyed it so much, especially with friends/family. Watching others do the actions, and trying to beat their scores was a lot of fun. I'm a fan of the Rabbids games, generally speaking. Sure they're little more than minigame compilations, but some of them do such a great job of it. The problem is I can't actually remember which Rabbids game is which - which tells me that while I find the franchise fun, the games aren't nearly as memorable as they should be. I'm really looking forward to the 3DS Pokemon-style one though. That has all kinds of potential. The ones we own are pretty easy to remember. The original had the in-game graphics for the FPS games, and had the mini-game selection from an arena where Rayman was battling the Rabbids from... sort of. The second one, had the real-life video locations with the Rabbids added in, and also introduced the 4-player band option and the selection was set in a mall/shopping center. The third TV Party, had the Balance Board support and had the TV channel selection....not sure after that one though. As for that 3DS Pokemon-style one, that's the Rabbids RUMBLE one... but I didn't realize it was a Pokemon style one. I did watch the trailer for it, still not sure what to expect from it... other than more RABBIDS! I like the Rabbids and even have a figure of them that came with Rabbids in Time. I own all three of the 'party' games for the Wii and find them to be enjoyable games to play, particularly enjoying TV Party. I actually need to finish TV Party, as I didn't put a whole lot of time into that one before stopping. 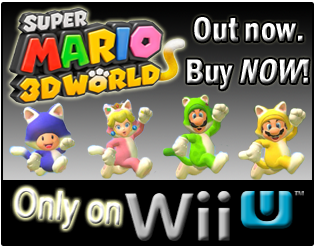 Are you by any chance planning on getting a Wii U and perhaps Rabbids LAND with it? 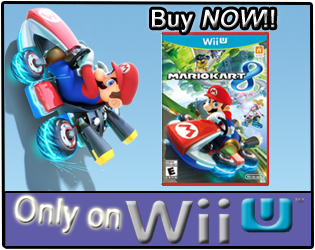 I am planning on getting a Wii U and will definitely pick up Rabbids Land as I know that I'll enjoy it. Will be a long way off yet though as have way too many games to play as it is. "... as have way too many games to play as it is." Yup, know the feeling. I'm going to try and finish some of mine up these next 2-ish weeks before it launches, no guarantees though!